Posnack School Thespians present a One Act Festival on Tuesday, March 27 from 4:00 pm to 6:00 pm in the Rousso Black Box Theater. 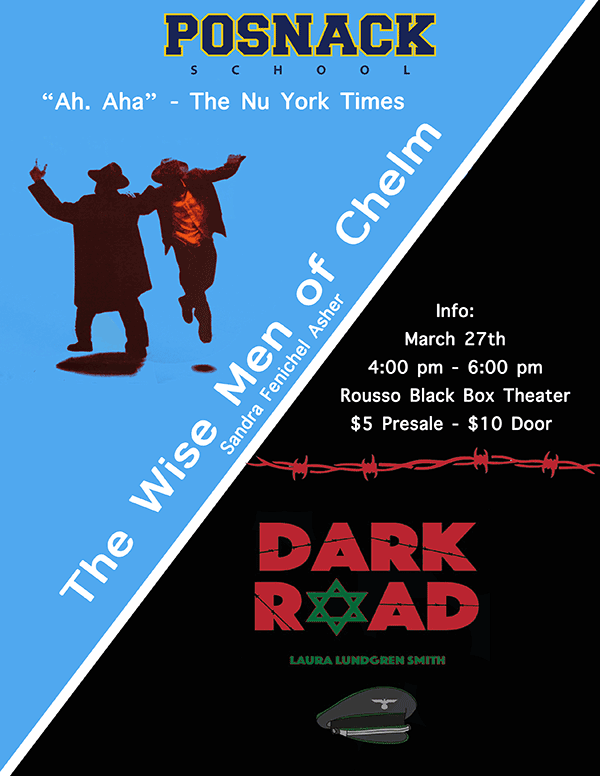 The festival features two performances: The Wise Men of Chelm, by Sandra Fenichel Asher, and Dark Road, by Laura Lundgren Smith. The plays are directed, produced, and feature performances by our Posnack High School Thespians. Tickets are $5 in advance and $10 at the door. To purchase tickets, please click on the button below.